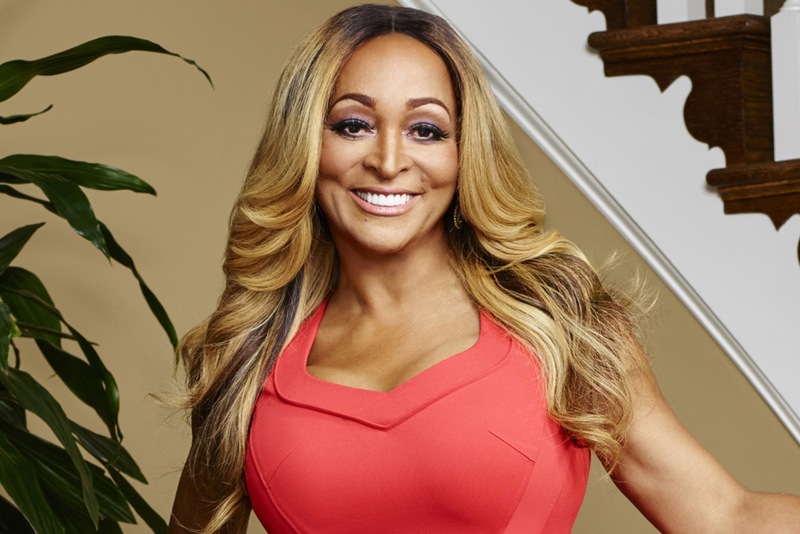 iRealHousewives | The 411 On American + International Real Housewives: Karen Huger Sets The Record Straight On Moving Out Of Potomac! During a recent interview with AOL, Real Housewives of Potomac star Karen Huger set the record straight on what really happened with her big move and why she doesn't hold longtime pal Charrisse Jackson Jordan's behavior against her. Check it out below! How does this season compare to last season for you? I think it's stronger. It's real, and I've grown. I love that the viewers are getting to see the other side of me. I'm not just one-dimensional. Yes, I'm proper and I've gotten called a few things, but I'm also very down to earth and relatable. I'm glad that Bravo was able to show that this year. I'm only human. What's something surprised you to find out about while watching the season back? I'll say that the thing I learn the most when I'm watching the girls is that you really don't have a problem with me, but you want one. That was a little disheartening, and it doesn't concern me. I don't lose sleep over it, but I was still shocked by that. I'm sitting right here -- talk to me! Hello, let's have a real conversation, not a one-sided one. I love communication, and I love the girls. I think they're great, and we're all growing. Obviously, a huge storyline this season for you was your living and moving situation.Can you set the record straight on what actually went down? What actually happened was everyone knows that my house has been on the market for over a year, so we did get an offer while I was in Bermuda and Ray was not happy. It started to happen before I left, but I had to go! Every girl needs to vacay, and DocuSign is a wonderful thing. I think the girls just wanted to be nosy, but, I'm sorry, I don't ask you about your home, and I don't have to tell you about mine! It's none of their business, quite honestly. If it were coming from a genuine place, I would've been okay with it. This was not coming from a genuine place, and I didn't feel as though I owed it to them to share it with them. I do feel that at a certain point I was being attacked left and right. There was no reason for that. I forgive them, though. I'm a very strong person. I don't bend, and I certainly don't break. I couldn't care less. It actually makes me rise! I respect people. I respect people's jobs, homes, marriages and families. I just don't think it's necessary to drag someone down in order to stand tall. I don't do that. I stand completely -- thank God! -- on my own. I don't have to decapitate you or demean you to be the person that I am. When they attack, it just makes them look bad, because they haven't taken the time to sit down and talk to me. I think it's a hoot! What do you think Charrisse's motive was in talking about you behind your back in that hotel room? I think it's so funny. Let's say this: She's going through a lot, so I have to be compassionate. But, I'm not a "yes" person, so I certainly feel as though there was a lot of manipulation behind my back. But, I forgive her, because it didn't work! [Laughs] The viewers see what's happening, and I think it's tragic, actually. She's a good person. I don't have anything negative to say about her, because I'm just being Karen, and I'd rather go high and let you go low. But, I have my moments, too. Like when you got criticism on the trip for dueling with Karen over the "hosting" duties. That was total bull crap! Charrisse and I had a very genuine conversation, which she decided not to share with the girls. I couldn't get mad at any of the girls, because they weren't informed. My own mistake was trusting Charrisse to relay the message and share the conversation. There was never any competition between Charrisse and I on that trip. She knew about the baskets ... she knew about everything! For her to say that ... that was sad. But, I'm passed that, too. It was funny and very childish. If you have to massage a situation to turn the other girls, it's not a good look, and I don't wear it. I'll pass on that! You spent a lot of the first season sort of mentoring and guiding Ashley into the group. What do you think of where she stands now? All by herself! I think Ashley is growing, too, and I still like her. I think she wants to duel with everybody, because she's going through something. I understand deflection, and I am a mature woman. She's doing a good job, but her plate is full. I don't find it necessary to belittle her while she's going through this, and she's not even a little girl. I'm sick of people calling her a little girl, because no little girl knows how to act like Ashley does. Ashley just loves to stir the pot, and I think it adds fun. It's harmless, in a way, because she's just asking the obvious. If you have a problem with it, you can just shut it down. What have you learned about yourself since becoming a Real Housewife? I'm stronger than I thought I was. I learned that I have a good heart. I learned that, and that I want to help empower woman. I will never try to break you down, because I don't believe in that. I learned that you can really be successful and have an impact through all of the negativity. That's a good way to live, and I like that. I live genuinely. When I have good days, I have good days, and when I have bad days, I have bad days. I do curse you out if necessary. I own everything about me. What I learned about myself is that I love owning all of me. The good and the bad, the past and present, as well as where I'm going.